Fixed or removable, we have the clear brace solution for you. 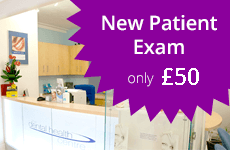 So why not call us for a free initial consultation for clear braces today? There are many companies that make clear braces to straighten your teeth. Invisalign is almost certainly the best known manufacturer - and the most expensive. There are many other companies that do a similar job for much less. Clear braces are one of the most invisible ways to straighten your teeth. They can be a highly effective way of discreetly moving your teeth with only minimal impact on your daily life because they can be removed for eating, brushing your teeth and the occasional night out. They also don’t have any metals parts and this makes them much more comfortable than traditional braces. 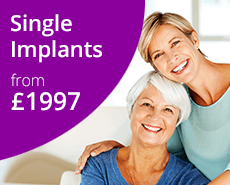 Simple Smilelign treatment starts from as little as £1,500 for one jaw or £2,500 for both. This includes the final three sets of removable clear retainers or a bonded (attached) retainer to ensure your smile stays stunning. 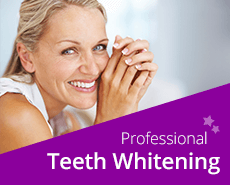 Another option for clear braces in Grantham is Quick Straight Teeth that straighten teeth in around six months. The Quick Straight Teeth invisible braces system uses only clear brackets and tooth-coloured wires making them virtually invisible in your mouth. These clear braces in Grantham are worn for only a very short time in comparison to traditional braces, ensuring that they are a fast, cost effective way to straighten your teeth.